StumbleUpon is my current favorite site and resource. Great pages an all recommended by other users. 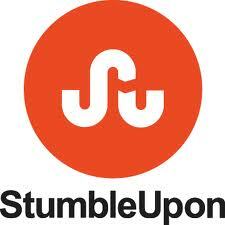 Now StumbleUpon has a new logo and new features, all very cool…..
You can find your Likes and your History on your Profile tab. Now here is the challenge, I want to get my Blog Posts visible on StumbleUpon?….and write about the experience and business benefit….. If you like my Blog, here is how you can help me, recommend my Blog to StumbleUpon! How do recommend a Blog?